Wander downstairs from your student accommodation at 33 rue des Volontaires, and you’ll stumble across the Librairie La Cédille bookshop. After browsing the aisles, unwind by heading to nearby Chat Mallows Café with your purchases, and stroke one of the 15 resident cats while you sip a cat-themed hot chocolate. Dine on the daily rotating bento menu at Japanese restaurant Kitokito once you’ve worked up an appetite, or tuck into modern French cuisine at Le Marcab restaurant. End your evening watching a play at contemporary arts venue Théâtre Aire Falguière, then finish with a digestif at buzzy French brasserie Les Volontaires, steps from home. 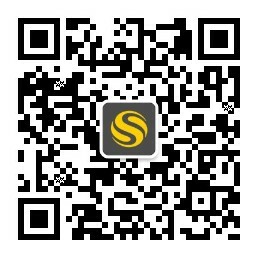 Walk to Schiller International University in just over 10 minutes from your new apartment. 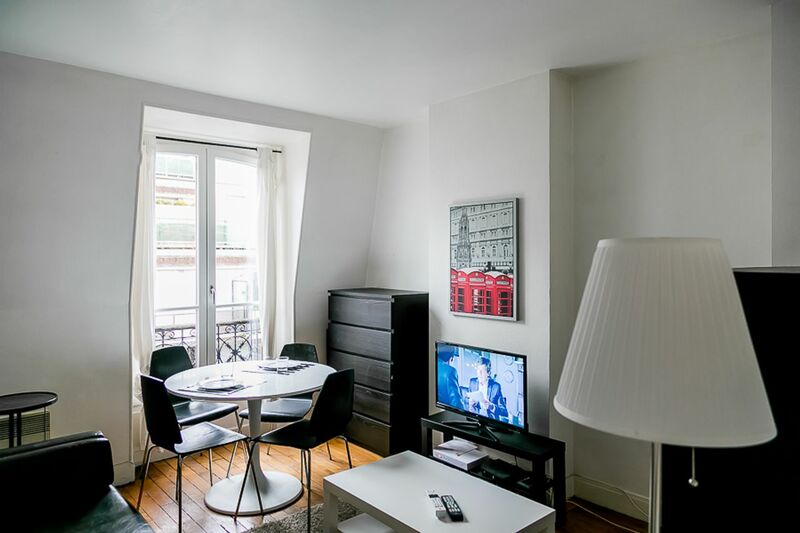 Hop on the métro at 33 rue des Volontaires at the end of your street for a 12-minute commute to the American Graduate School in Paris, or reach Paris-Sorbonne University in less than 25 minutes. Pick up your morning pastry from Boulangerie Pichard or Pierre Hermé patisserie, both five minutes’ walk away, then grab some groceries from one of the local markets and Franprix supermarket, a three-minute stroll from home. 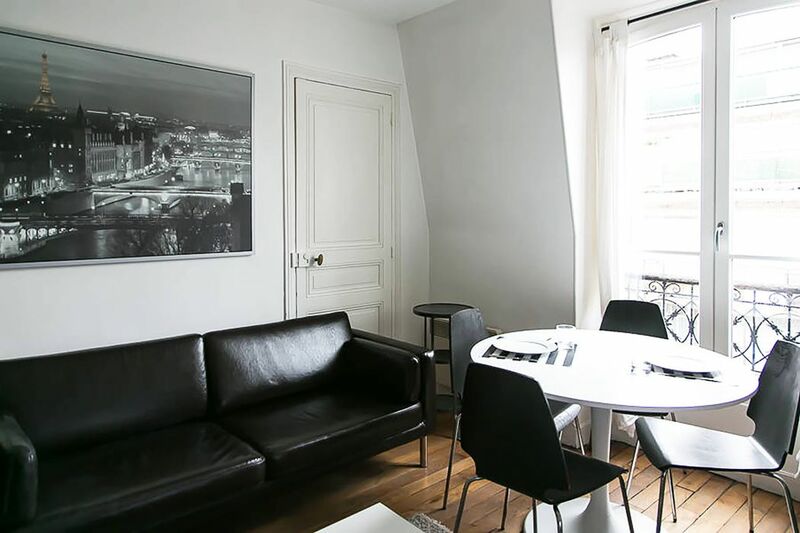 Climb up the stairs to your pretty, fully furnished apartment based in a typical Parisian block, and kick off your shoes as you sink into the sofa. Relax listening to the gentle bustle of the street below, then head to the kitchen to whip up something to eat – with a fully equipped kitchen, you won’t have to worry about a thing. If you don’t feel like cooking, slice a fresh baguette and add some cheese, or head out to nearby Bong restaurant for authentic Korean barbecue. Afterwards, hook up to the free Wi-Fi to work on your assignment in peace, or Skype friends back at home to find out what they’ve been up to. Put a load of laundry into the washing machine – you can rest easy knowing you can call the 24/7 emergency hotline if anything goes wrong. Then, have a hot shower before tucking yourself into your comfy bed for a great night’s sleep. All tenants are required by the landlord to pay a €3,000 fee but you'll rest well knowing you'll be able to manage your budget easily with all utilities included. Wir haben leider keine Unterkunft gefunden, die deinen Wünschen entspricht.Alle Mehrbettzimmer in Comforts of Home - 33 rue des Volontaires ansehen. 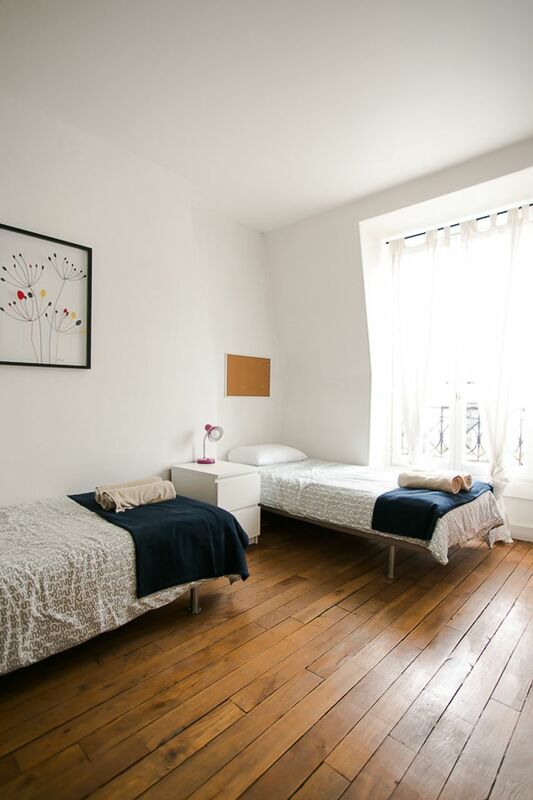 Wir haben leider keine Unterkunft gefunden, die deinen Wünschen entspricht.Alle Privatzimmer in Comforts of Home - 33 rue des Volontaires ansehen.